It’s been 5 months since I had my sleeve surgery. I lost nearly 70 lbs. Most important of all, all my vitals improved tremendously. It’s almost magic, it changed my life and blood pressure and blood sugar. For anyone wanting to feel amazing inside and out, Dr. Shillingford and his team go above and beyond. Dr. Shillingford is the best doctor I’ve ever met!! I’ve had several surgeries with him. He explains things so you can actually understand, he takes his time with you, and he genuinely cares about his patients. His staff is highly skilled and very responsive unlike other doctor’s offices. I would highly recommend him. If only more doctors were like him. The surgery was a success and the staff was excellent. This surgery helped me from being overweight and helped fight my borderline diabetes. In the spring, I came for the first time to Dr. Shillingford. My weight at this time was 230 lbs. I was having a lot of problems. I had pain in my body. I had high blood pressure and I was not sleeping well. I did the surgery two weeks later and it changed my life. I lost around 70 lbs, and now I don’t have any problems sleeping and my blood pressure is regular. I am so happy about the results. I can honestly say that having the surgery was the best medical decision I have ever made. The day after the surgery I regretted it because I missed my bad habits, but only 1 month later I realized that I no longer missed these habits. My PCOS (Polycystic Ovary Syndrome) and insulin resistance have greatly improved and I feel like a normal healthy person who can live her best life now. Lori lost over 75 lbs after gastric sleeve surgery with Dr. Shillingford. Getting this surgery has been the absolute best thing I could have done, I wish I would have found Dr. Shillingford sooner. He was so affordable and his staff super helpful! Down about 100 pounds in about six months! Never felt better, Dr. Shillingford provided me with a better chance at life! I have no words to describe how this surgery has changed my life. Dr. Shillingford is the greatest and so is his staff. Don’t think twice! Go forward and change your life forever!!! I can’t find myself happier!. I never looked at myself as “obese,” but truth is- I was. I had tried every “fad” diet possible and was constantly on a yo-yo with my weight. I had met with previous weight loss doctors, but could never fully commit to move forward. I knew I wanted it but I would always find myself trying one last time on a “fad” diet. Then I met with Dr. Shillingford. He was welcoming and understanding. Provided me with reassurance, but honesty. This was it. I made the decision to do it and couldn’t be any happier! Making the decision to have a life changing surgery was not easy, but one of the best decisions I could have made. From day one Dr. Shillingford and his staff have never let me down. My journey is not over and I’m okay with with that, now. Having surgery was my beginning, my new start. Finding Dr. Shillingford was just what I needed, exactly when I needed it. I will forever be grateful to Dr. Shillingford for his honesty and knowledge and giving me the start to my journey. My twin sister did the research and found Dr. Shillingford and I met him the day of her surgery. He was nice and positive. Her surgery was a success so I decided to have the gastric sleeve. It’s been a year and I love my new body. I am not skinny that I look sick. I am more active with my children and husband. My sister and I look more alike after losing weight. We appreciate Dr. Shillingford for doing a great job and giving us another lease on life. It was very hard in the beginning, no solid food for a week and no steak for a month. However it is all worth it if you have patience and resolve. If you can’t handle no eating candy or drinking soda then this is not for you. There is a lot to sacrifice for this, you just need the patience to pursue it. Dr. Shillingford is the BEST! He gave me my life back. He is an outstanding surgeon and a great doctor. He has gone above and beyond in his guidance after the surgery I am 5 ½ months out and 55 pounds gone. I highly recommend him and his wonderful staff. Best decision I have ever made for my health. I began my journey at 313 lbs and I lost 93 lbs just five months after surgery! Dr. Shillingford and his staff were amazing! They explained everything in detail and were always there to provide help and provide assistance to help through the rough bumps. All my issues with being overweight are gone; sleep apnea, joint and feet pain, blood pressure now at 120/68. Just cleared out my entire clothing wardrobe! And now I get to run and "catch" my 7 year old son! I wish I had the procedure years ago! Having the sleeve done was the best decision I’ve ever made. My only regret was not having it done sooner. Since my surgery I have referred three friends to Dr. Shillingford and they are all extremely happy with their results. I had a sleeve gastrectomy in March with Dr. Shillingford. I was so nervous, but Dr. Shillingford made it easy and comfortable for me even being not in town. Dr. Shillingford had time to pay attention to me not only before my surgery but he was just as available to me after surgery for questions and concerns!! I am 2 ½ months out and have lost 48 lbs since a week before my surgery date. It’s not only the pounds, I’ve been taken off blood pressure medication 2 weeks after surgery! I’m so happy I made this decision, now I’m starting to LIVE my life! I struggled with my weight all my life. 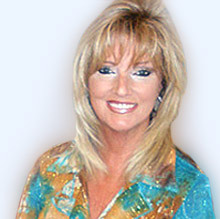 I heard of Dr. Shillingford from a dear friend of mine who had gastric sleeve done and looked fabulous. I had my consult in November and decided I was going to do the surgery. Dr. Shillingford was very informative about what to expect from day one. The office staff is wonderful to work with. They call you back when needed. I am extremely happy I decided on the gastric sleeve. It has changed my life by feeling wonderful and best of all I am healthy. Thank you Dr. Shillingford! 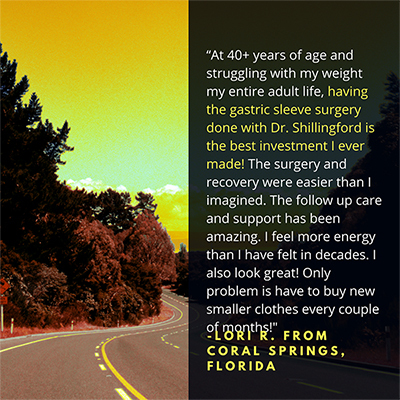 My experience with Dr. Shillingford and my gastric sleeve surgery has been excellent. No more sleep apnea, no more high blood pressure, no more knee pain, etc. If I only knew that was going to be that easy, I wouldn’t wait that long to do it. My life made a 360° turn. Thanks! Dr. Shillingford has changed my life, I am able to hold my head high with the new confidence I have acquired since losing the weight. 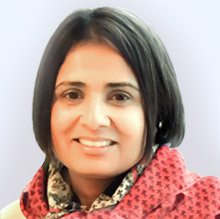 Dr. S is a compassionate and caring person who takes the time to listen to you. My whole experience associated with my gastric sleeve has been nothing but positive and I would encourage anyone who is struggling with weight loss to consider visiting Dr. Shillingford. 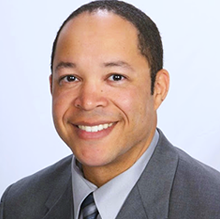 Dr. Shillingford is an excellent surgeon and has a pleasant bedside manner. His entire staff has been attentive and giving of their time to answer any questions. I am very pleased with the outcome!!! The surgery was life changing. My advice is to commit to the lifestyle change- this is not a diet, it is a change. 138 pounds down, I have learned what my body needs to be healthy- hydration, protein, and exercise. It’s not rocket science! The support of Dr. Shillingford’s office and support services were instrumental in the commitment for me. Everything moved smoothly, I had absolutely no problems during surgery. My life has changed in so many ways because of this surgery. I have my life back and I owe it to Dr. Shillingford and his staff. I have lost over 150 lbs and feel better than I’ve ever felt. I can ride roller coasters, I can jump on a trampoline with my daughter, I can snorkel. I can now sleep through the night. Thank you thank you thank you. When I started on my weight loss journey I was obese, depressed, and didn’t know where to turn. I found Dr. Shillingford’s name online and began my research. He spoke to me on the phone for over an hour and answered all of my questions. He was very patient with me. I told him that I was from Georgia and wondered if that would be a problem since he was in Florida. He said he had patients all over the country. So I decided to go with him to do the surgery. It was great! Since then I have gone to see him and spoken to him on the phone monthly. He’s a great doctor and I highly recommend him! Dr. Shillingford made this process stress-free. Very easy going, knowledgeable and understanding. Always made himself available, his staff is so friendly and helpful. My recovery was very easy. Highly recommend Dr. Shillingford. I am so happy I made the decision to have gastric sleeve. 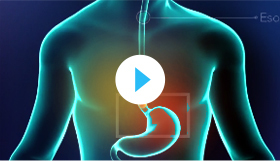 I had the gastric sleeve and it is the best thing I have done for my health. My quality of life has improved 100%. I am able to be active with my husband and children. I no longer have sleep apnea and I feel great about the way I look. Dr. Shillingford is a caring and thorough surgeon. I highly recommend him. The office staff have always been warm and flexible with questions and scheduling issues. All I can say is I wish I would have done this sooner. Dr. Shillingford made the decision to forward with the surgery so easy. He was very informative and explained everything I should expect through the process. The girls in the office made it such as easy process and helped me along the way with any questions I had. Something I will be forever be grateful for. I came to Dr. Shillingford at 19 years old, 245 lbs, and after only one year of marriage. Gained 80 lbs in that year. Now one year post op I'm 152 lbs. I don't get out of breath getting out of bed anymore. I feel healthier and beautiful-ER. The BEST decision I made in my life was the gastric sleeve. I'm now a size 4/6 and a much happier and healthier person. My experience with Elba, Michelle, and Kahlil has been beyond words. Thank you all! Desde el comieno me mantuve muy positive por la segunda del procedimiento y la explicacion recibida en la primera visita, mi operacion fue muy bien asistida en el hospital. Los siguientes no mese fueron llenos de muchos cambio y siluaciones satifactorias en un progreso hacia la meta de una notable mejorias de salud. Si tu viera que tomar la decision nuevament lo naria es lo mejor que me ha sucedido. My surgery was the gastric sleeve. From the first appointment until the day of surgery, it was all very quiet and fast. The procedures before the surgery were done very well, also postsurgically. Also the surgery was very quiet and the recovery very good following the necessary diet. I am reaching my goal and very happy with the result. I am thrilled with the results of my surgery. Everyone I saw pre- and post- surgery were helpful and right there with any questions or concerns I had. It's been almost a year since my surgery and I have to say it’s the best choice I’ve made in my life. Dr. Shillingford is an amazing doctor. He not only did my surgery, but my sister’s as well on the same day. Dr. Shillingford is great, very helpful, and attentive. He made me feel very secure and I have nothing negative to say about this doctor. Keep up his amazing job. I feel amazing! Thank you doc. 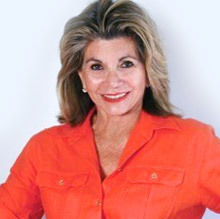 Dr. Shillingford helped me change my life! He was very flexible in scheduling my surgery date and everything went very smoothly. Dr. Shillingford is patient and a wonderful listener – he makes this enormous change comfortable and manageable. I consulted with the other surgeons, but Dr. Shillingford was far and away the best choice. If you are considering bariatric surgery (I had the gastric sleeve) go with Dr. Shillingford, and don’t put your health off any longer. Best decision of my life, thank you so much Dr. Shillingford and staff for taking such good care of me and my daughter. Dr. Shillingford and his staff are the best. Best decision of my life. I’m so happy to have my new "tool."